Despite an incredible body of work dedicated to researching what goes inside the brain while we sleep, consensus among neuroscientists suggests we’re just beginning to scratch the surface. For instance, we’ve yet to answer a fundamental question: why do we need sleep? We all agree that we needed it – going without sleep for long periods of time can bring terrible consequences – but the mechanics that underlie it are far from being understood. A new research made by a team of French and British scientists lends us further insight into the amazing world of the sleeping brain. The findings suggest that we are still capable of processing verbal instructions even though we’re fast asleep, which might go to explain why you wake up when someone calls your name in the background, but not when other sounds are about. 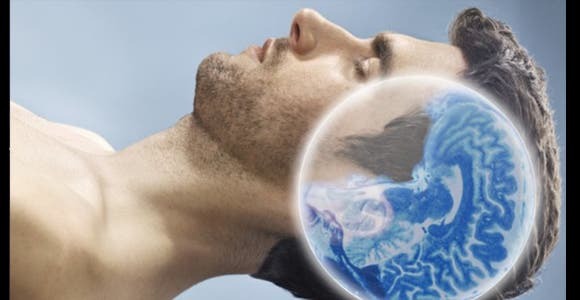 Studies so far suggest there’s a definite connection between sleep, memory and learning, but the present research (published in Cell) focused on how the brain responds to automatic tasks while sleeping. First, the researchers asked volunteers to identify spoken words as either animals or objects while they were awake by pushing a corresponding button – right hand for animals or their left hand for objects. The participants did this until the task became automatic and all the while their brain waves were scanned. EEG (electroencephalogram) showed where activity was taking place in the brain and what parts of the brain were being prepped for response. When the word elephant is heard, a part of the brain recognizes the word while another part processes it as being an animal. In the second part of the experiment, the researchers waited until the participants fell asleep in a comfortable reclining chair. While in a state between light sleep and the deeper sleep known as rapid eye movement (REM), the participants were told a new list of words. Of course, their hands couldn’t move this time, but their brains showed the same sorting pattern akin to when they were awake. “In a way what’s going on is that the rule they learn and practice still is getting applied,” Tristan Bekinschtein, one of the authors of the study, told Shots. The human brain continued, when triggered, to respond even through sleep. The researchers weren’t totally satisfied with these results so they re-made the experiment, only this time instead of animals and objects, they exposed participants to real or fake words. Just as before, sleeping participants showed brain activity that indicated they were processing and preparing to move their hands to correctly indicate either real words or fake words were being spoken. So, does this mean that you can perform tasks while asleep? The findings suggest that our brains are capable of processing tasks and instructions for automated tasks, but this doesn’t mean you can use shuteye time to memorize verbs or learn a new language. It might be possible, though, that certain tasks begun in an awake state might continue through early sleep — like crunching calculations.